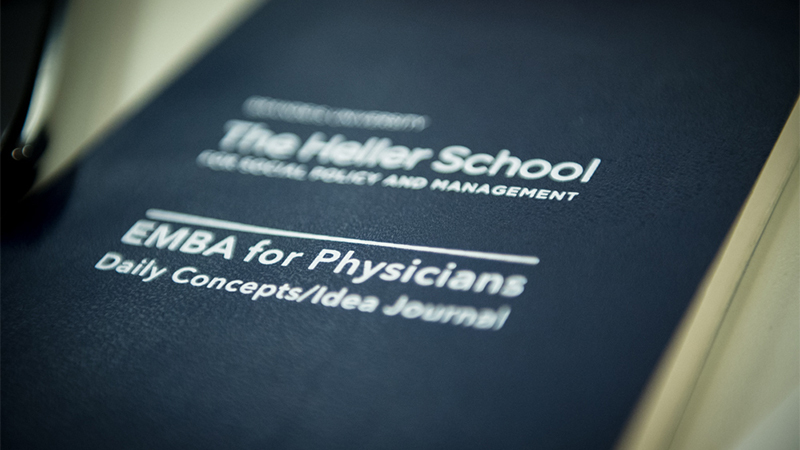 Heller combines deep experience providing executive education to physicians, a faculty composed of leading healthcare scholars and practitioners, and on-campus research institutes that continually advance the knowledge, best practices, and future thinking within the field. Our faculty includes academics and physicians on the front lines of medical practice and policy. Heading the faculty is the program’s director, Dr. Jon A. Chilingerian, PhD, a professor at Brandeis and professor of public health and community medicine at Tufts School of Medicine. He is co-author of the book "International Health Care Management." Dr. Chilingerian is joined by many senior Brandeis faculty, including Dr. Stuart Altman, PhD, the Sol C. Chaikin Professor of National Health Policy at the Heller School, who serves as chairman of the Health Policy Commission for the Commonwealth of Massachusetts. He has been named one of the “100 Most Powerful People in Healthcare” for consecutive years by Modern Healthcare magazine. In addition, Dr. Jody Hoffer Gittell, PhD is the founder of the Relational Coordination Research Collaborative, which brings practitioners together to help organizations build relational coordination for high performance. Her research explores how workers, leaders, and customers contribute to quality and efficiency through their coordinated efforts. EMBA participants will also benefit from access to Heller’s network of healthcare research and service partners, which includes the Agency for Healthcare Research & Quality, the Centers for Medicare & Medicaid Services, and the Substance Abuse and Mental Health Services Administration.